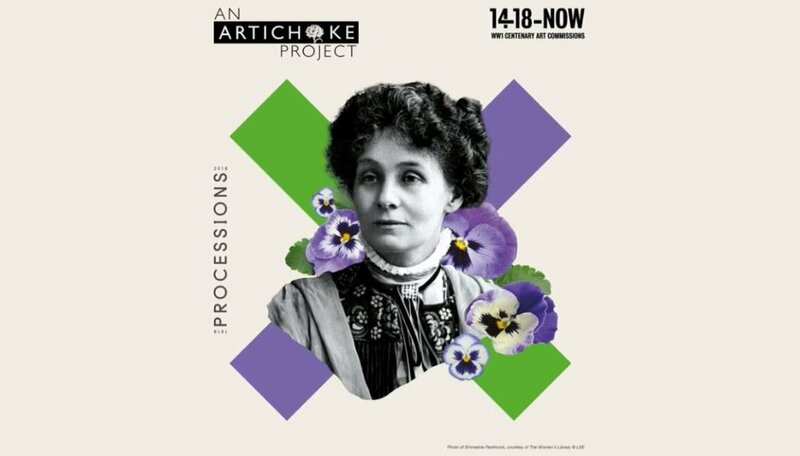 Women (those who identify as women or non-binary) and girls across the UK are invited to come together on the streets of Belfast, Cardiff, Edinburgh and London on Sunday 10 June 2018 for Processions, a mass participation artwork to mark the centenary of the Representation of the People Act, which gave the first British women the right to vote. The artwork aims to unite and inspire women from all walks of life in a living, moving portrait of women in the UK in the 21st century. Participants will wear green, white or violet to reflect the suffragette colours, and will be choreographed so that they appear as vast flowing bands of colour. Women’s Suffrage Societies. The toolkit will provide inspiration, guidance and practical instructions for any individuals and groups to create their own banner. In all one hundred women artists are being commissioned to work with communities across the UK to create one hundred centenary banners for Processions. The event hopes to memorialise how women came together on the streets a hundred years ago made themselves visible with handmade flags, banners, pins and rosettes. The workshops will focus on text and textiles, echoing the practices of the women’s suffrage campaign, and the banners made will represent and celebrate the diverse voices of women and girls from different backgrounds. Historic England has commissioned artist Lucy Orta and the London College of Fashion, UAL, to work with former Holloway inmates now at HMP Downview, to produce a banner for Processions. Holloway Prison was one of the most notorious sites associated with the Suffrage movement in London with imprisoned Suffragettes being force fed there. For more information and to register for a march visit the Processions website.